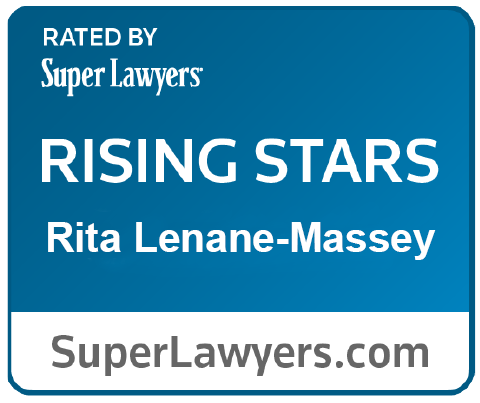 Rita Lenane-Massey is an associate in our commercial litigation department where she handles a range of cases for clients in the financial services, technology and fashion industries. Rita also has handled a number of matters in employment law, including discrimination, whistleblower and wage and hour suits. She has been involved in representing both plaintiffs and defendants, and her experience in this area of the law ranges from discrimination actions involving some of the world’s largest investment banks and hedge funds to representing fast food workers, cable technicians, restaurant employees and livery drivers. Rita held numerous internships during law school, including in the immigration non-profit and government sectors, and she also spent a semester interning in the chambers of the Hon. Ronald L. Ellis, Magistrate Judge for the Southern District of New York. While in law school, she was awarded a Jacob Burns Medal and selected for membership in the Order of the Coif. In addition to her work in the employment field, Rita sits on the Board of the Digital Assault Defense Fund.